The much awaited Nokia Smartphone, The Lumia 920 was finally revealed to Indian users with the Price of Rs. 38,199. The Smartphone was officially announced by Nokia back in september last year and is now finally out for Indian users. 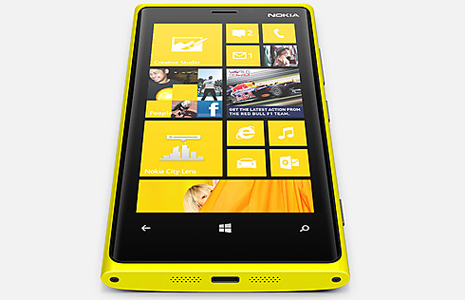 Nokia Lumia 920 comes with a 4.5 inch PureMotion HD+ Display of 1280 x 768 Resolution. Its is powered by 1.5 GHz Krait Dual-Core processor with 1GB RAM and runs Microsoft Windows Phone 8. It has an internal storage of 32 GB and does not have any microSD card slot. Nokia Lumia 920 is packed with an 8 Megapixel Camera with Full HD video recording (1080p @ 30fps), Carl Zeiss Optics, Optical Image Stabilization, Autofocus, Dual LED Flash. The camera comes with PureView Technology which nokia claims to shoot better photos. It has a 1.3 Megapixel Front camera which can record 720p@30fps videos. 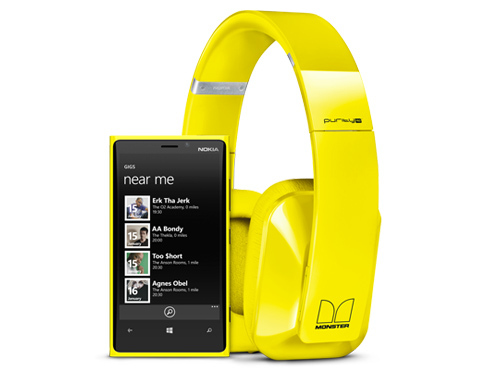 Another Highlight features of Lumia 920 are Wireless Charging, NFC, Bluetooth v3.1, Dolby Headphone sound enhancement and a massive 2000 mAh battery. A downside of this phone is that it is very heavy (185 grams).